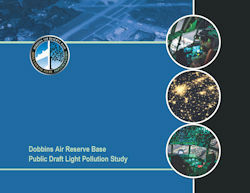 The Dobbins Air Reserve Base (ARB) Public Draft Light Pollution Study is available for public review and comment. Click on the graphic to download the Comment Sheet. 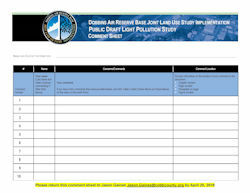 This file (provided in Microsoft Word) can be used to submit comments on the Public Draft Light Pollution Study. Comments must be received no later than midnight on April 20, 2018. 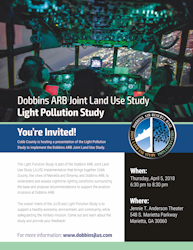 The contact person for this project is Jason Gaines with the Cobb County Community Development Agency.